Joan joined the Front Range coaching staff during the 2016 season as the Head Coach of 13 Scarlet. In 2017 she coached camps and our Futures program. In 2018 she was the Head Coach of 13 Navy and continues in that role this season. Joan played volleyball at Heritage High School from 1981-1984 and continued her volleyball career playing at the United States Military Academy at West Point for two years and the University of South Alabama for another two years. Joan’s club coaching experience includes two years as the 17-2 Head Coach at Boulder Volleyball Club (1996-1998), 2 years as the 11-1 Head Coach at Performance Volleyball Club (2009-2011), and three years at Colorado Volleyball Association in the 11 and12 year old age groups (2013-2015). Joan also has thirteen years of experience coaching at the high school level. She has been the Sophomore Head Coach for 12 years and the Varsity Assistant for 1 year at Cherry Creek High School. Joan is married with two children. Joan’s children both played sports in college – her son is a wrestler and her daughter plays volleyball. Joan works full time as an auditor for the Federal Government. 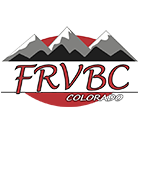 Front Range Volleyball Club is a nationally prominent, competitive program dedicated to advancing the personal and athletic development of youth through the pursuit of excellence in volleyball, fostering a sense of community throughout the Club and promoting leadership in all Club members.